Slamdance Film Festival '19: Annette Raves About BEATS! In 1994 while Americans were still “rocking the vote” in the Clinton era, across the pond Tony Blair was leading the Labour Party to Parliament. In both empires, however, a burgeoning resistance to the status quo was taking shape in the form of underground drug-fueled raves. While stateside this movement was more party centric, in the UK these secret events took on much more meaning in the context of a proposed bill that would outlaw any gatherings featuring music with “repetitive beats.” Spoiler alert, the bill passed and became law, but not before groups of anarchy-minded activists organized a series of raves in the summer before the legislation. 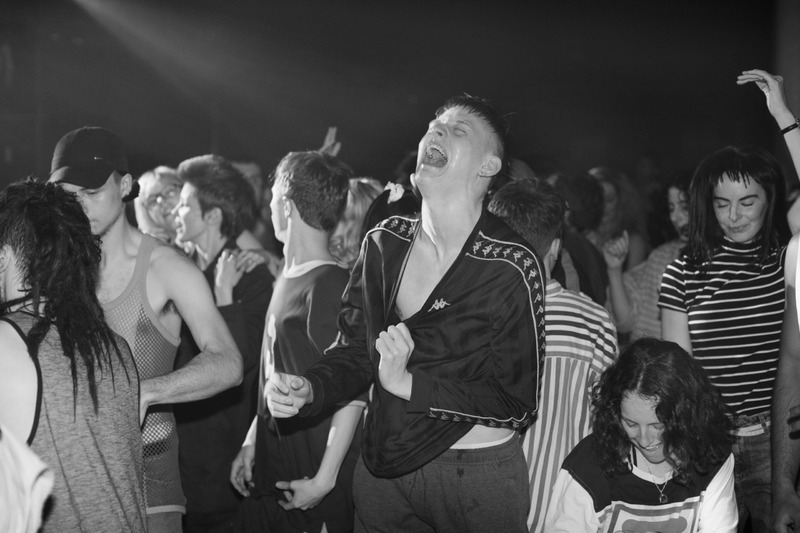 In Brian Welsh’s BEATS (executive produced by Steven Soderbergh), the story of two Scottish teens at a crossroads in life unfolds in the context of their brief foray into the beloved underworld. BEATS opens as the two friends, Johnno and Spanner, share their love of the newish musical genre- in this case dancing maniacally in the solitude of their respective bedrooms joined by the landline and an underground radio station blaring from each hooligan's jam box. It quickly becomes apparent that their home situations are polar opposites. Johnno enjoys a stable home life with a caring mom and a well-meaning step father who has high hopes to move the family to a more prestigious neighborhood thanks to his employment in local law enforcement. Spanner, on the other hand, lives with his thug brother who regularly- and viciously- torments the young lad. Though Johnno’s parents disapprove of his friendship with Spanner due to his troublemaking brother, Johnno knows that his friend isn’t like his gangster family. 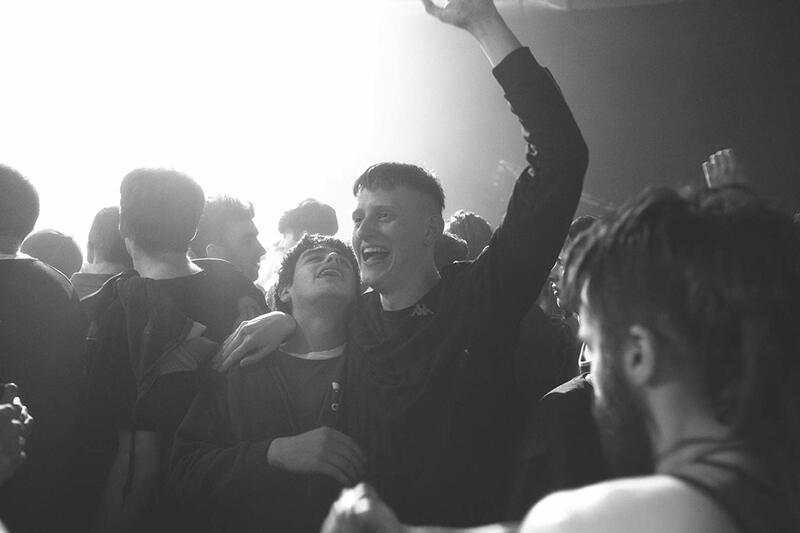 When Spanner finally finds out about his best friend’s pending move paired with the dour state of his own home life, he hatches a plan for the pair to have one last hurrah at a nearby secret rave. Soon the friends find themselves among the movers and shakers of the scene and embark on the biggest night of their young lives. Based on the play by Kieran Hurley, BEATS is a simple and sweet tale about friendship and divergent lives. When you’re young, the idea of growing up and away from childhood chums seems impossible. BEATS illustrates that moment in late adolescence when, unbeknownst to us, the final act of friendship is happening before everyone moves on their separate ways. For the majority of the film, Welsh chooses a black and white palate that nicely emphasizes the overall bleakness many youth in transition to adulthood feel as they let go of irresponsibility. Appropriately, the visuals shift to a psychedelic barrage of color and flashing images during the trippy rave scene. A thumping soundtrack featuring various electronic artists of the day adds to the overall euphoria the characters experience at their penultimate party. As with any good coming of age- much less rave- movie worth its salt, there is the element of casual drug use, but I was very relieved that the story didn’t spiral into a cautionary tale. Instead, the movie becomes more of a commentary on youth, class, and the often tyrannical practices of law enforcement. As Johnno, Christian Ortega imbues his portrayal of the sweet kid with plenty of wide-eyed innocence along with a solid does of cluelessness. Though his character is mainly along for the ride throughout the film, Ortega’s performance aptly conveys the conflicted nature of a young man torn between following the straight and narrow or finding his own path. In contrast to Johnno’s virtue, Lorn MacDonald’s take on the troubled Spanner is the real meat and bones of BEATS. It’s impossible not to feel compassion for the youngster who has been dealt a crummy hand in life, and MacDonald’s performance combines the perfect balance of recklessness and naïveté to make his character heartbreakingly relatable. For those of us who experienced the ‘90s at the same time as these characters, BEATS is a satisfying and poignant nostalgic romp. Though younger folks may scratch their heads at the significance of such events, it is important to remember that these were the days when pop culture, music, art, and communication wasn’t just a click or swipe away. Isolation played a huge role in the motivation of youth before the age of the internet. A secret event really was a secret, and if you were one of the cool kids lucky enough to attend, it could be transformative. There’s no word on a U.S. release for BEATS yet, but definitely keep your eyes peeled for this enjoyable, nostalgic, and touching coming of age tale.